If you’ve been keeping up with my latest blog posts, you know my adventures in tomato gardening have now reached its final leg — cooking up delicious recipes. 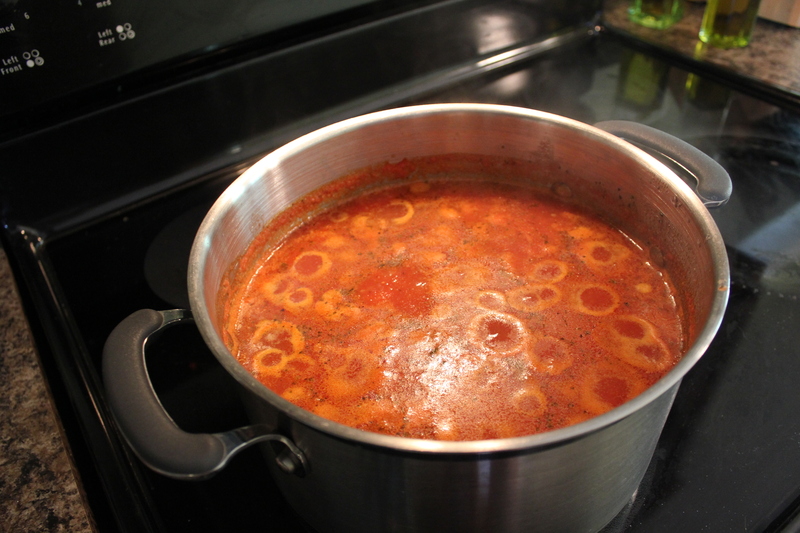 My first foray into tomato land came in the form of soup, which you can read more about in Tomato Soup for the Soul. 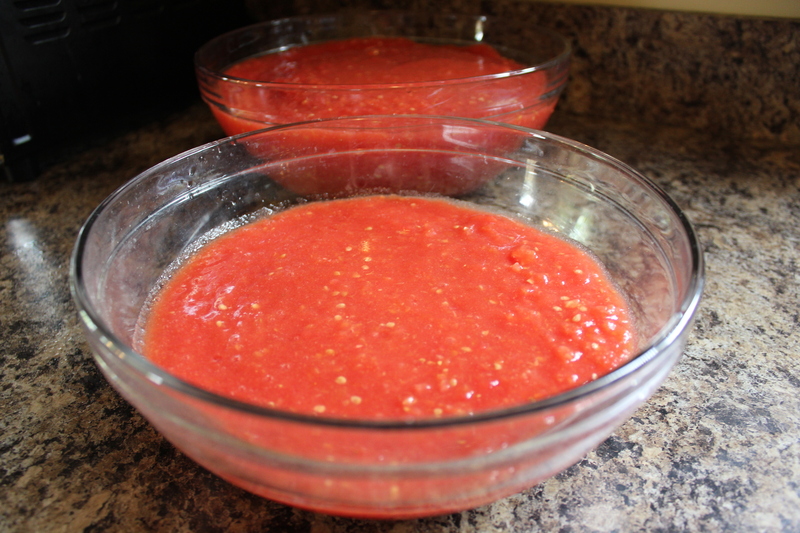 I’ll be continuing this liquid yumminess by creating and preserving my first batch of tomato sauce. I absolutely love tomato sauce. 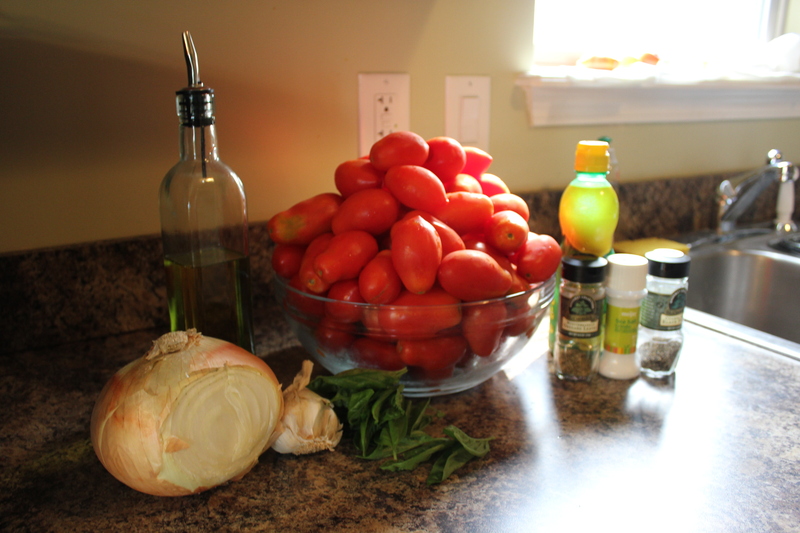 For the longest time, I would never touch a whole tomato, but make it into a sauce and I was hooked. It wasn’t until recently (before my vegetable garden) that I started enjoying raw tomatoes outside of smashing them down into something else. And tomato sauce is so versatile. It can be used in pastas and pizzas but also seafood or buffalo wings. 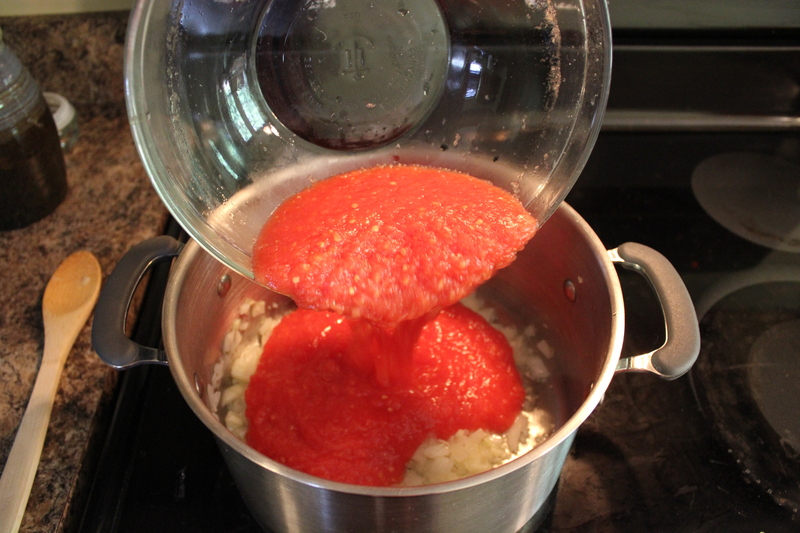 The art in making your own tomato sauce is that it’s very free form. You can have it be chunky or smooth, seeds in or seedless and include a plethora of herbs and spices to season it up. 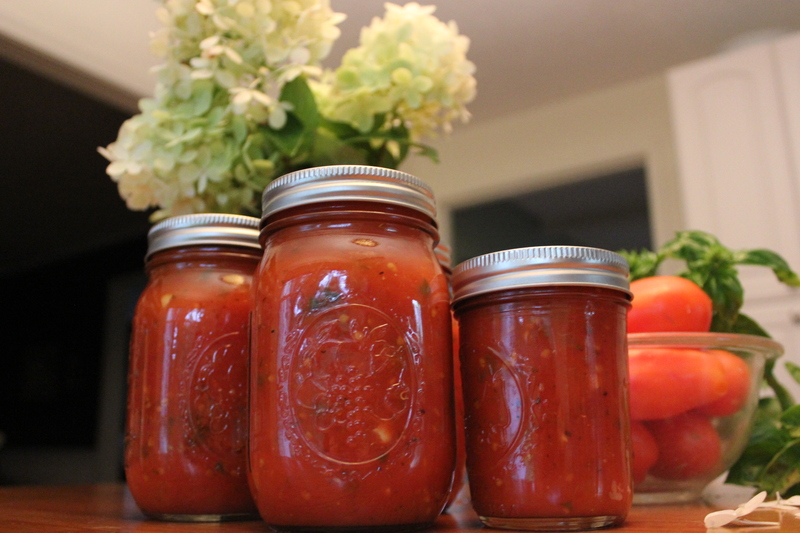 So here’s my take on some delicious tomato sauce, along with pointers on how to properly can and preserve your creations. Start this process by heating up a large stockpot of water to boiling. At the same time, fill up a large bowl with some ice water and set aside. 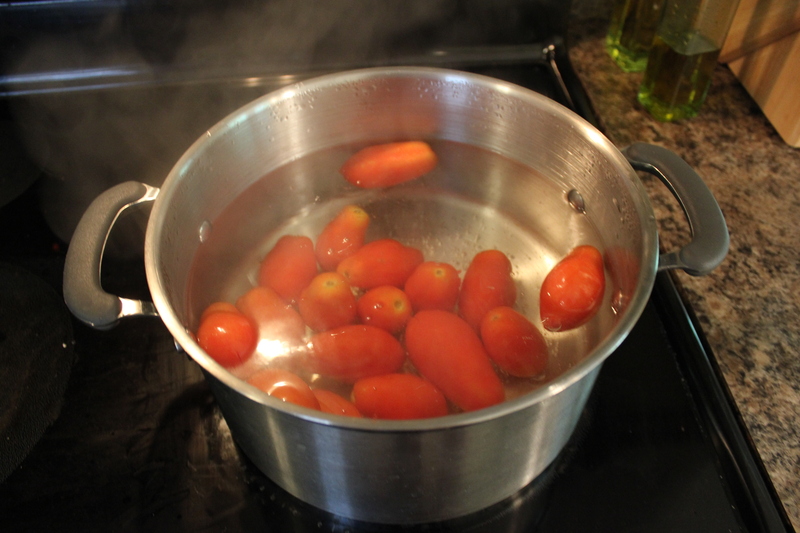 As you wait for the water to boil, you can begin getting your tomatoes ready. 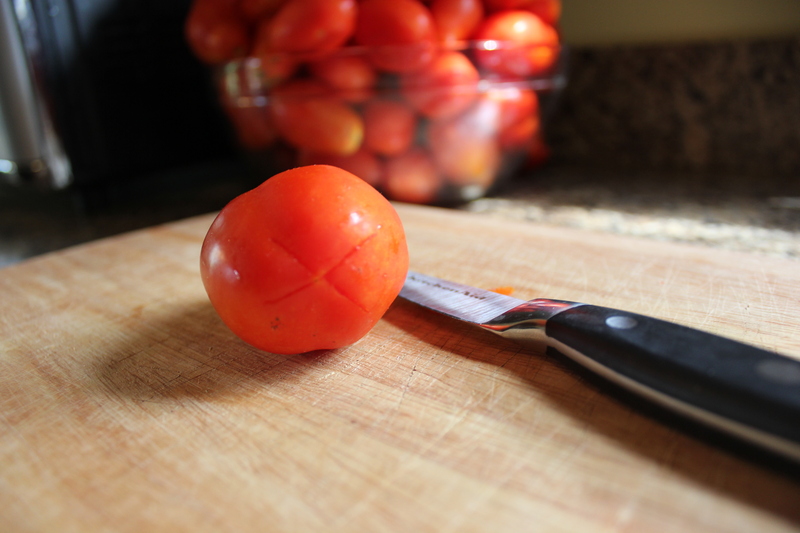 Take each tomato and create two slits on the bottom, forming an X shape. 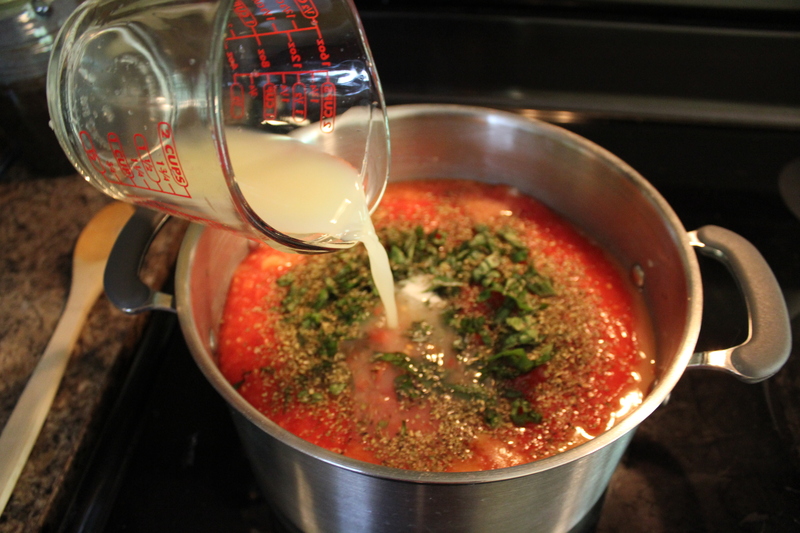 Once you’ve slit all your tomatoes, you can start adding them to the boiling water a few batches at a time. An important note to remember: you don’t need to leave your tomatoes in for any longer than a minute. The outer layer will start to peel faster than you think so make sure you keep an eye on them. 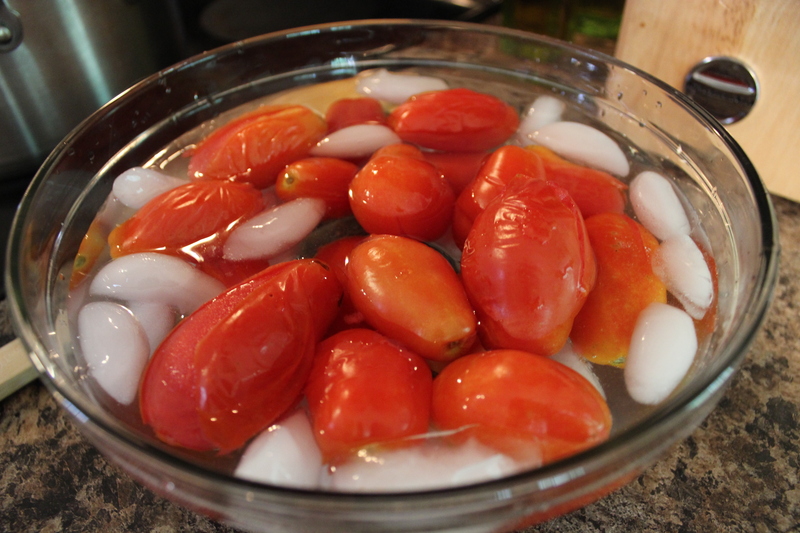 Once you start to notice the skin of the tomatoes start to come off, take them out of the hot water and place them immediately in the ice water bath. This will help make the peeling process easier and cool down the tomatoes faster. After they’ve cooled down, set the tomatoes on a paper towel and set aside. Repeat this process until all the tomatoes have gone through the cycle. 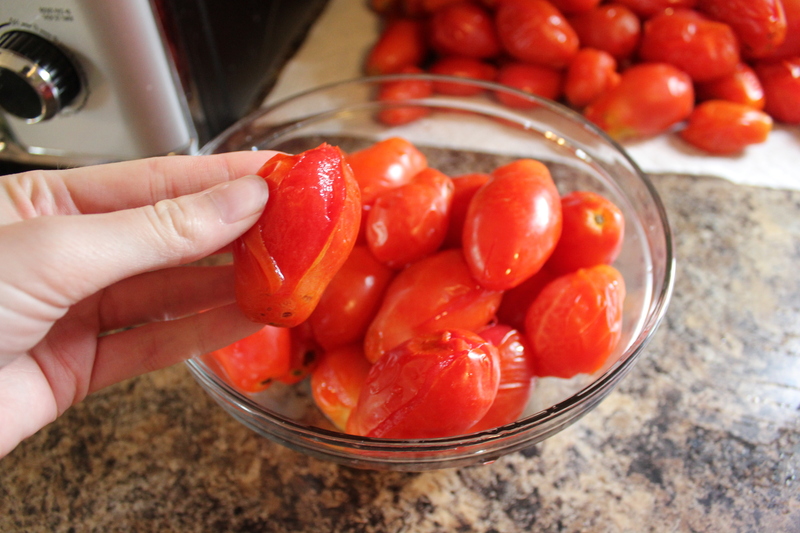 Now you can begin peeling off the skin of the tomatoes, which should be relatively easy at this point. Take an edge of the skin from where you made the slit and peel all the way down the side of the tomato until it comes off. 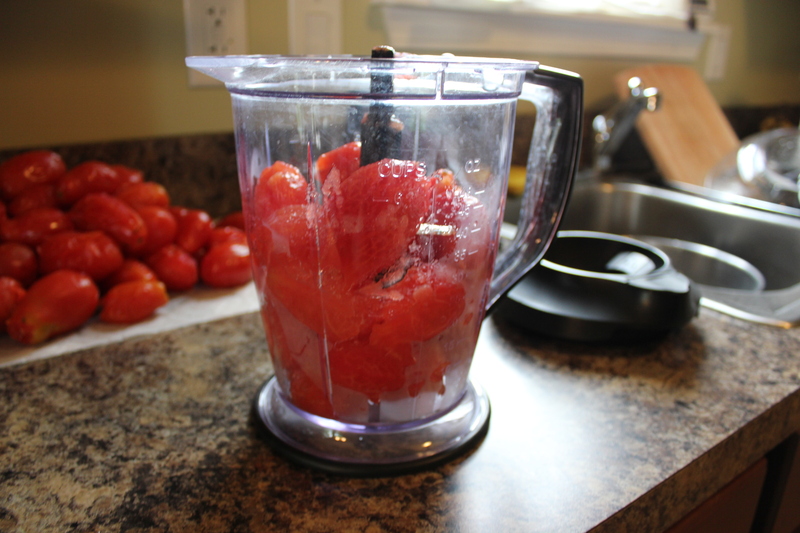 Place all of the peeled tomatoes in a food processor and chop them up until they make a creamy, salsa-like sauce. Pour into a bowl and set aside. Before you start combining the rest of the ingredients in the sauce, heat up another large stockpot over medium high heat with olive oil drizzled on the bottom. 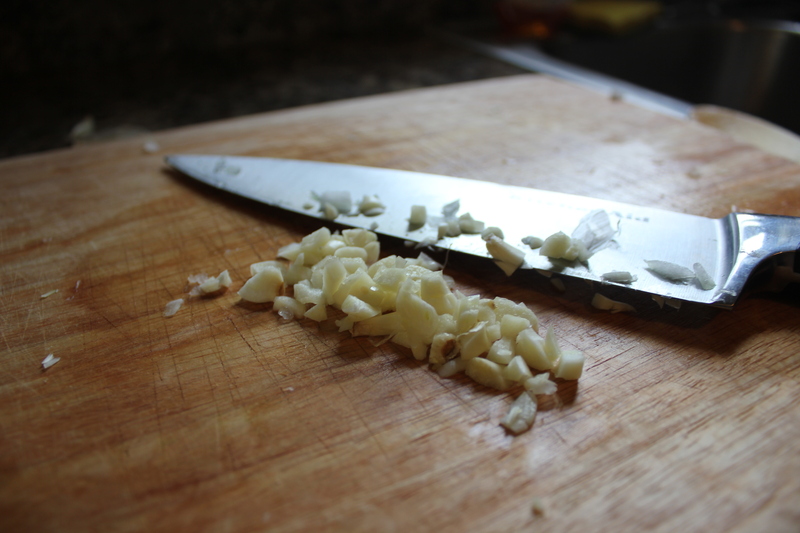 Start by chopping the onion, garlic and basil into fine pieces. It’s important to make these chops as small as possible to give the veggies/herbs an easier time to break down as they cook. 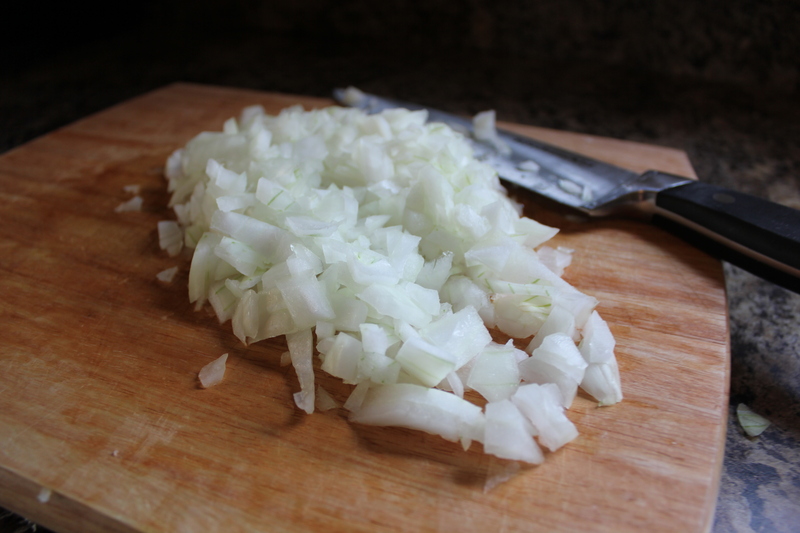 Once your stockpot is preheated, add the onions until they become translucent. Then, add the garlic on top and cook for 3-4 minutes. Now you can add the tomato purée. Don’t worry if it looks like the sauce is going to pour over the edge. Eventually, it’ll cook down and thicken up into a nice tomato sauce. 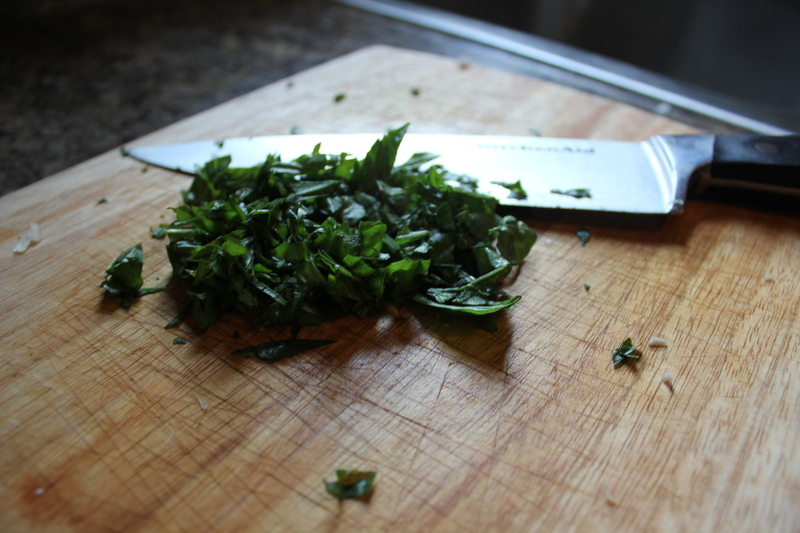 Now you can add the basil leaves and as much oregano as you’d like. Just make sure not to add too much so it doesn’t overpower the sauce. Sprinkle the sugar on top and pour in the lemon juice before adding a touch of salt and pepper to finish it off. Stir everything together so that all the ingredients are combined well and place a lid over the stockpot. 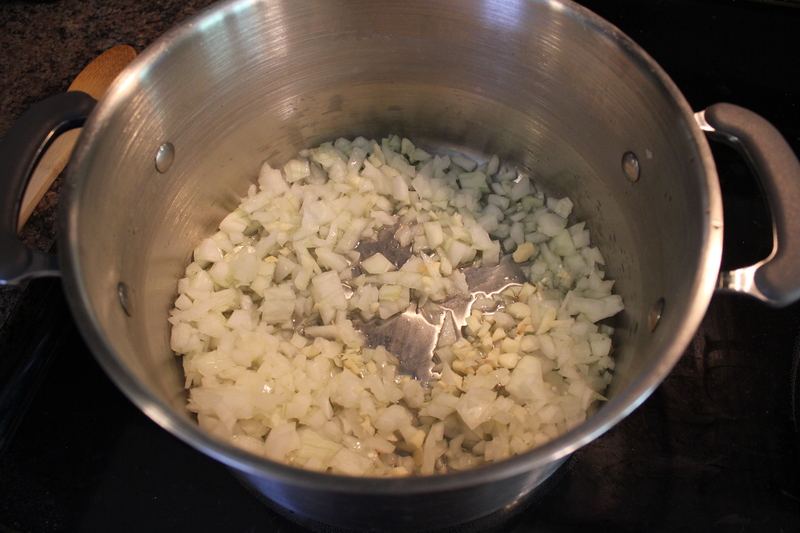 Bring the sauce up to a boil and then immediately after turn the heat down to a simmer and remove the lid. Set the timer to 2 hours and stir occasionally so nothing gets stuck to the bottom. I know it seems like a long time, but it’s necessary so all the ingredients can blend together and allow the sauce to reduce as needed. Once it’s finished cooking, you can serve immediately or preserve it. 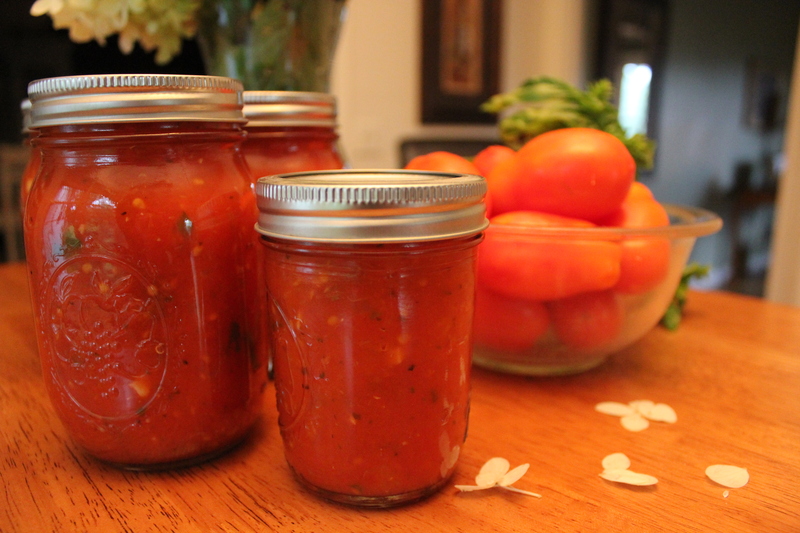 There are a couple ways you can save your tomato sauce, one of which is pouring it in a sealable container and placing it in the freezer, which can last a year or more. 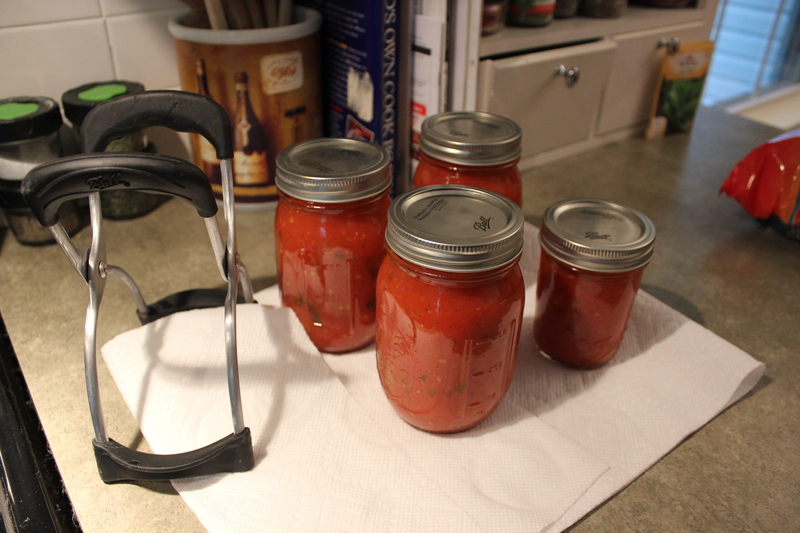 The other way would be to preserve the sauce by canning it. It’s more labor intensive, but you’re guaranteed to have the sauce for a much longer amount of time. Since it can be difficult to can for first-timers, I enlisted the help of my Mom to safely show each step in the process. Before you start the canning process, there are a few things you need to gather to make it easier: pint size Mason jars, lids and bands (duh), cast iron pot, canning funnel, canning tongs and a canning rack. For our purposes, we’ll be using a water bath technique, but you could also try pressure cooking them. 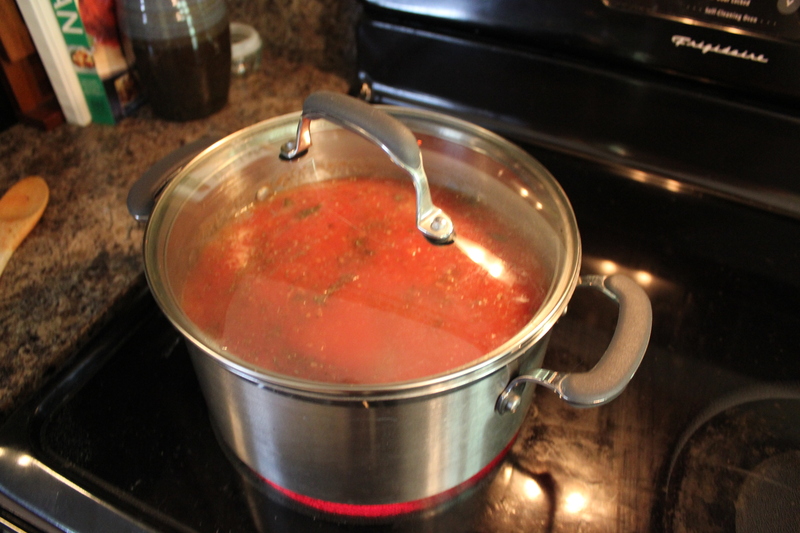 Heat up some water in the pot but wait to bring it to a boil until your ready to place the jars inside the rack. 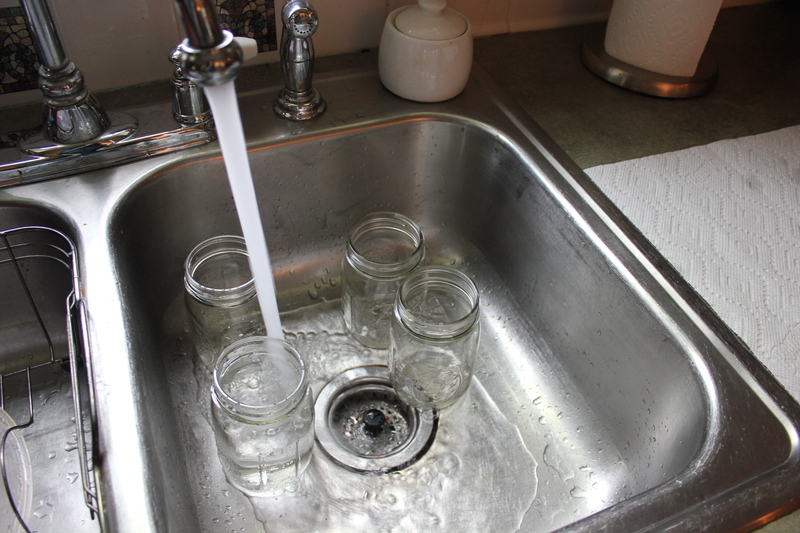 First things first, you need to wash out all of your jars and sterilize your lids by heating them up in a pot of water. After your jars and lids are ready, place the canning funnel over each jar and pour the sauce in about 3/4 of the way full. 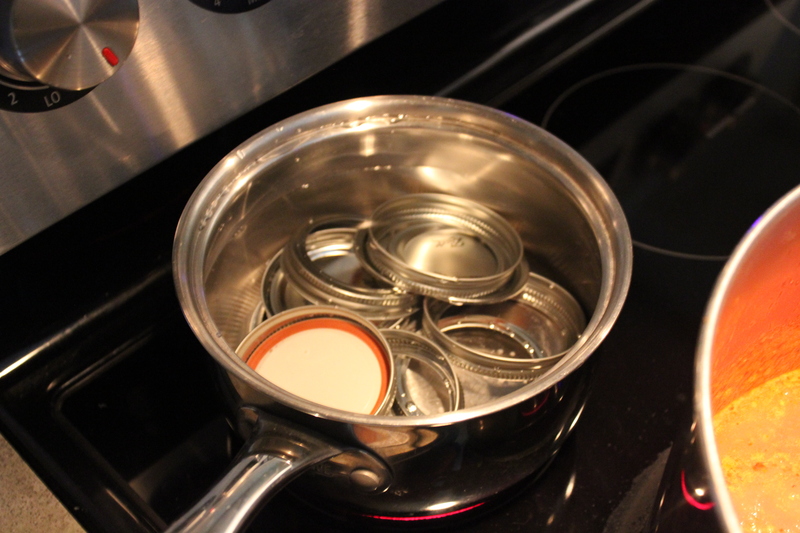 Then, secure all the lids on top of the jars, making sure they’re tight as possible. 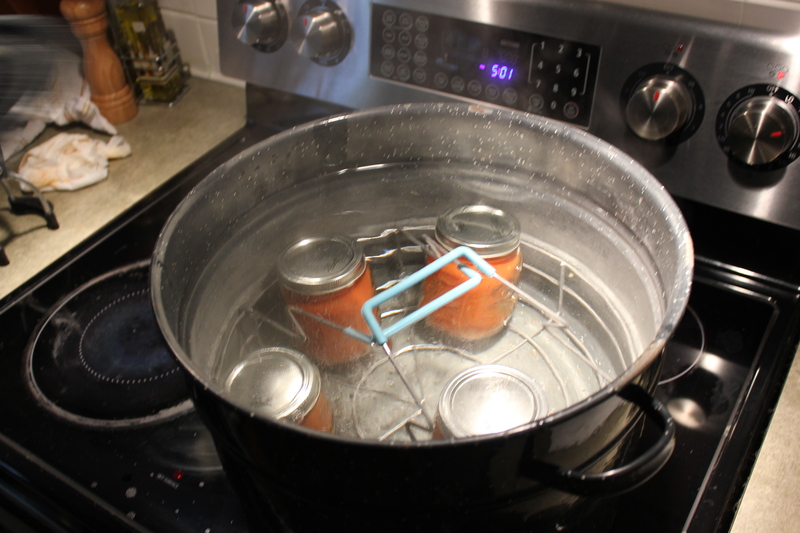 Place each of the jars inside the rack and submerged it into the pot until the water covers all the jars. Once the water comes to a boil, you can start your timer for 35 minutes. 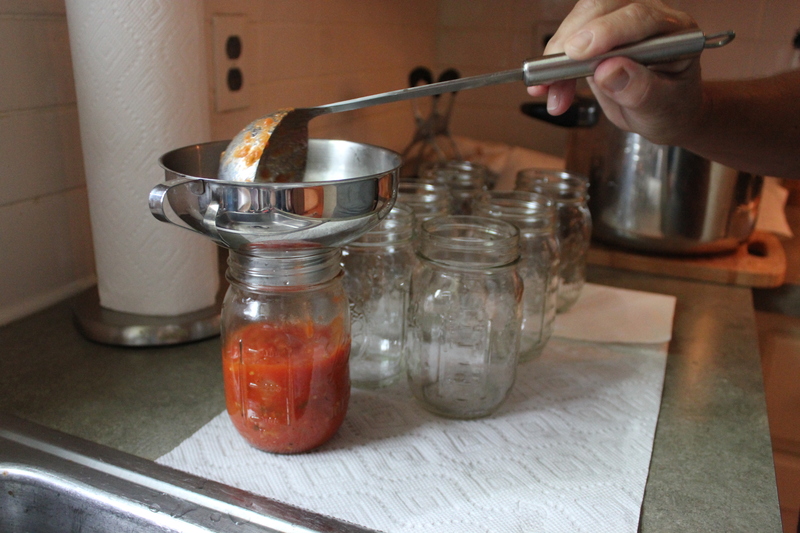 Carefully lift the jars out of the water with the tongs and place on a paper towel to dry. The last step to making sure your cans are preserved is hearing the lids make a “ding” noise, which means the pressure inside the can has secured the lids and preserved them correctly. The jars should be safe for years to come. And there you have it! 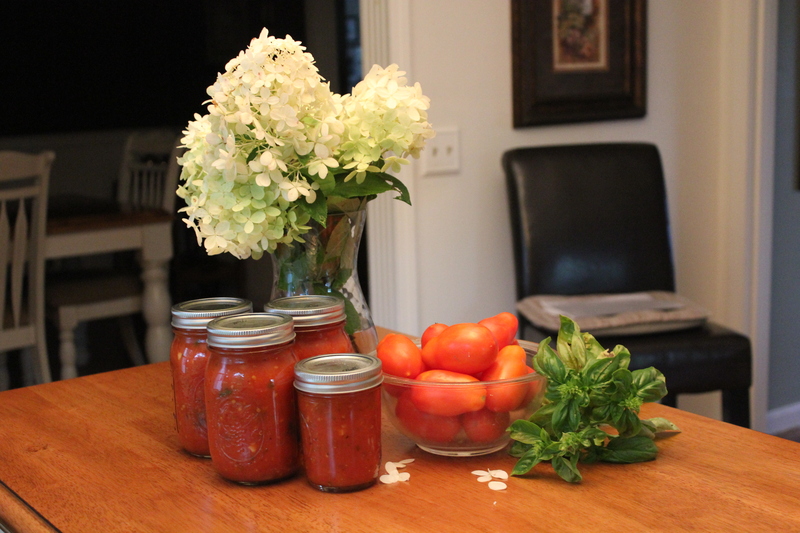 While it may seem like a long process just to make some sauce, it’s definitely a rewarding experience to (in my case) grow your own food, make it into something delicious and preserve it throughout the winter months and into next summer. Not only did it help get a boatload of tomatoes off my hand, it gave me the opportunity to try something new and pass along to others.